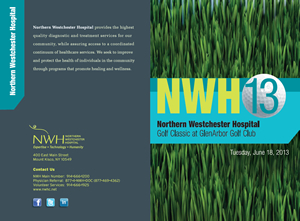 David Miller, MD & David Schechtman, Tournament Chairmen Invite you to the Northern Westchester Hospital Golf Classic. GlenArbor Golf Club, 234 Bedford Center Road, Bedford Hills, NY. Tuesday, June 18, 2013. 10:30-11:45am: Registration, Driving Range and Lunch. Noon Shotgun Start. 5pm Cocktails, Buffet Dinner and Awards. 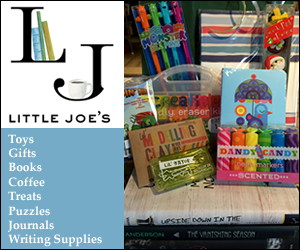 For information and to sign up, contact Gaby Golod Greenwald, 914.242.8392 or email ggreenwald@nwhc.net.